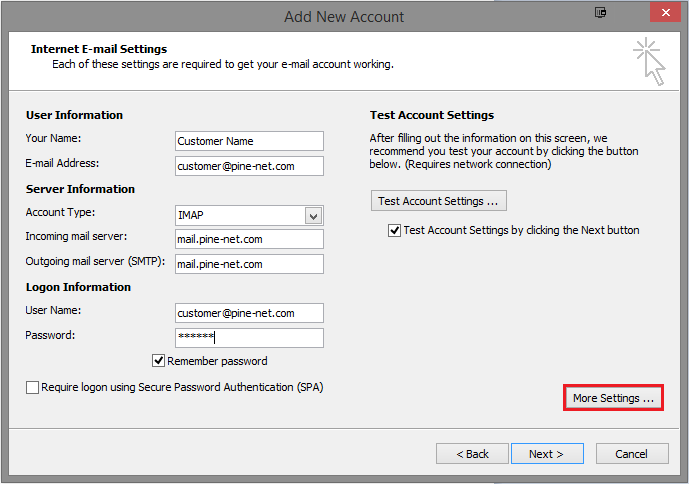 Let’s go ahead and open up Outlook, select Tools, Account Settings on the Email tab, and then click the New button. 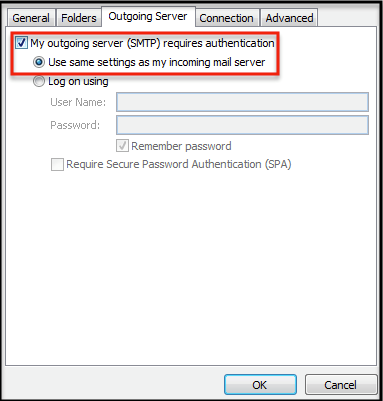 If prompted, be sure that the Microsoft Exchange, POP3, IMAP, or HTTP box is checked, and click the Next button. 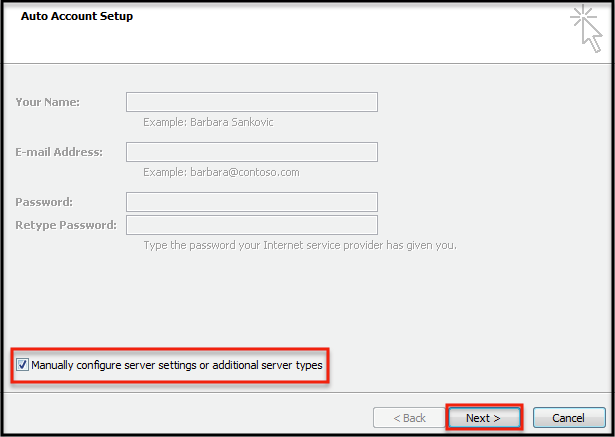 Select the Manually configure server settings or additional server types check box and click the Next button. 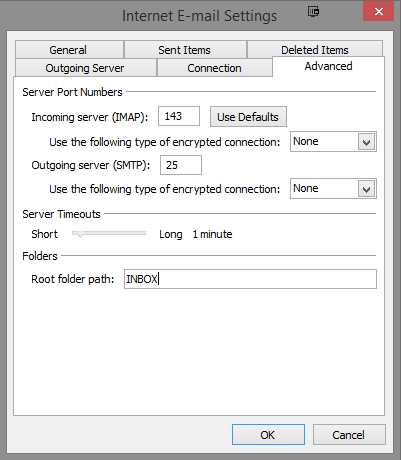 Click the Advanced tab, in both of the Use the following type of encrypted connection drop-down menus, select SSL. For the Incoming Server port enter in (143) and in the Outgoing Server port enter in (25). Click the OK button, click the Next button, click the Finish button and then click the Close button. That’s it. You’re all done! 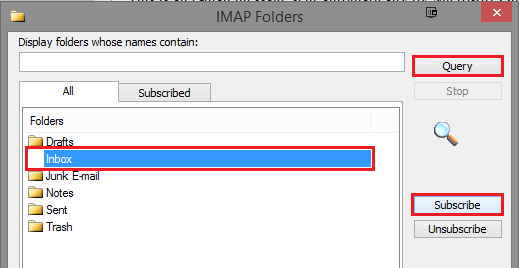 Right-click on your email account and select IMAP Folders and then Query. Select any folder you would like to be subscribed to by right-clicking and selecting Subscribe. Repeat these steps for all folders you would like to be subscribed to. To Unsubscribe to any folders, repeat the following steps and select Unsubscribe instead.